From first contact to the closing table, I'm by your side every step of the way. I believe in using the latest technology to assist my clients in searching for a new home. Whether buying or selling, you won't be disappointed in my service. 10 years experience, 2 professional designations and countless hours of continuing education ensure that I'm prepared to be your Realtor. I'm a proud Navy veteran that bleeds Red, White, and Blue. I have a son in law who is career Army with the Airborne Rangers. I've been in Real Estate since 1997. Before entering Real Estate I was a minister and served congregations in military areas. I'm acquainted with the stress of moving and military. I look forward to making you transfer to a new duty station less stressful. Renée Clark is the broker/owner of Metro Group Brokers, LLC. Renée has been in the real estate business for the past 25 years. 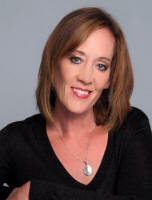 Fall of 2009, Renée opened the newest real estate office in Midwest City OK – Metro Group Brokers, LLC. Renée is a consistent top realtor – ask most anyone at Tinker Air Force Base. They either know her or they know someone who knows her. Her reputation in the military is above reproach. 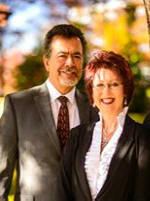 She has been involved in military relocation for over 20 years. Hundreds of satisfied customers have responded favorably by coming back to her with their repeat business. Gary and Michelle Harris are Team Harris. They know in today’s market, buyers and sellers want to work with professional realtors they can trust with one of their most significant decisions they will ever make. Rather you are buying a home or selling a home, who you trust matters. My Cities: Midwest city, Del City, Moore, Choctaw, Harrah, Newalla, S. Oklahoma City and surrounding areas. Located just 1/2 mile South of Tinker AFB. Twenty years experience in finding you and your family the right home. Familiar with VA, FHA, Conventional financing. Can help you with financing, also very familiar with USAA .Broker manager of motivated, honest, caring Real Estate Office. Born and raised in Choctaw, Oklahoma. Husband retired Air Force. Currently working as civilian for Navy in Guam. 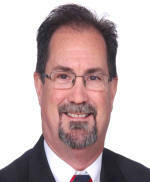 I have been listing and selling homes in this area for over 20 years. My husband retired from a military career and we went into real estate sales. I know what military life is like and I can help relieve some of the stress from your move...Call or email me.